MainAll NewsMiddle EastGreenblatt rips PLO official: I want peace, do you? US envoy responds to PLO's Hanan Ashrawi, who said US administration has zero credibility. 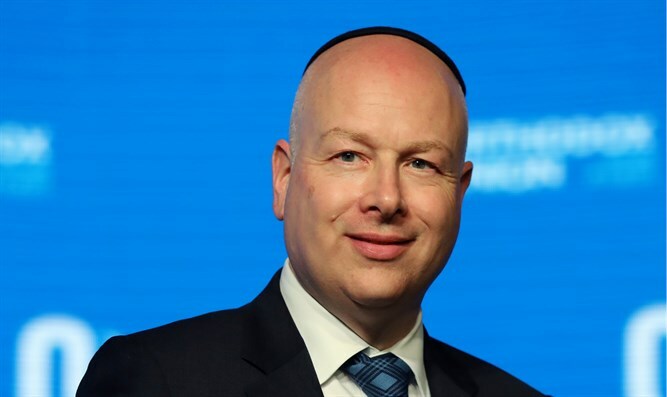 Jason Greenblatt, the US Special Representative for International Negotiations, on Sunday ripped senior PLO official Hanan Ashrawi on Twitter, after Ashrawi tweeted about the US peace plan. “Let’s be honest about that and not pretend recent US decisions are the cause of the current situation which has existed for decades. At the very least, the Palestinian leadership owes it to its people to review our proposal and see if negotiations can achieve something good for both sides and help the Palestinians. Nothing else will help them. Again, the choice is up to the Palestinian leadership. Keep trying to see what might be possible or just keep blaming others and ignoring the truth. I want to keep trying. What about you?” concluded Greenblatt.